On the great Feast day and Solemnity of Saints Peter and Paul, Apostles, the feast day of the Church of Rome, on Saturday, 29 June 2013, 34 new Metropolitan Archbishops will receive the pallium, the symbol of their metropolitan office from Pope Francis, in a Mass at St. Peter’s Basilica. 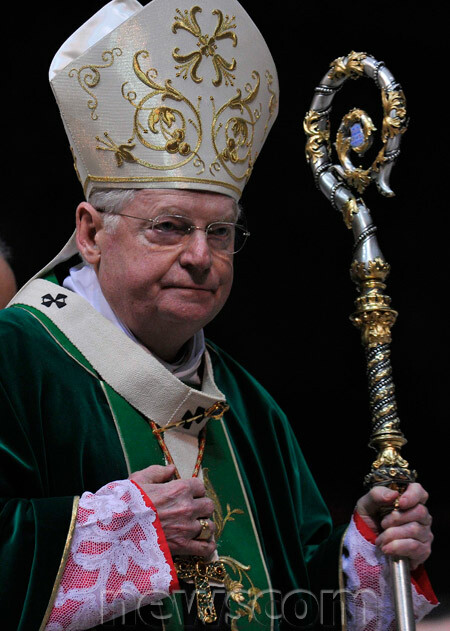 Pallium is a woolen band, worn around the shoulders, as a symbol of office, representation of the Good Shepherd, with Jesus carrying the lamb on His shoulder, which is reminiscent of the authority entrusted upon the Metropolitan Archbishops over their flocks. 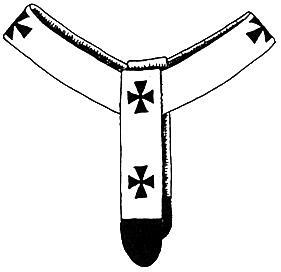 Pallium therefore is a symbol of authority. It is about three fingers wide, and has six black crosses, out of which three are pierced with a golden pin, representing the wounds of Christ pierced by the holy nails on the cross. 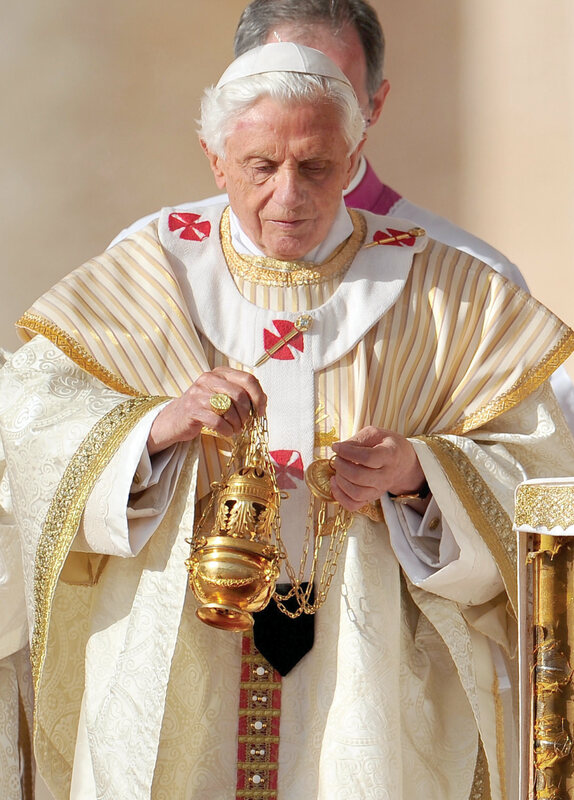 Papal pallium from 2005 is different, in order to distinguish the nature of the Papal office, as the Pope is not just any bishop or Metropolitan Archbishop, but is Metropolitan over the entire world, the entire Church, as the Vicar of Christ. The list of the new Metropolitan Archbishops who will receive the pallium below. 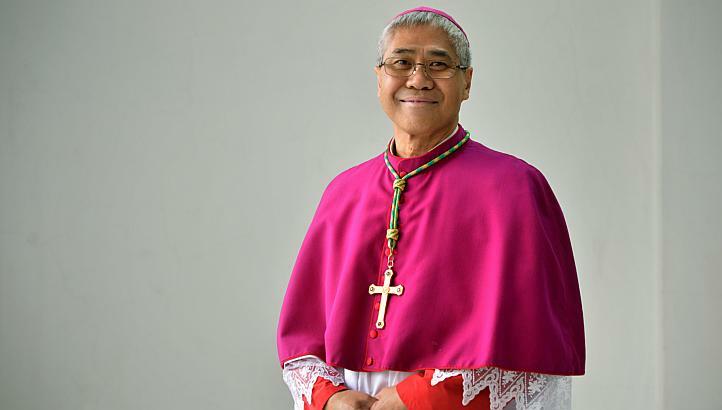 In addition, the Metropolitan Archbishop of Hue, Archbishop Francois Xavier Le Van Hong, will not receive the pallium directly from the Pope in Rome, but in his home diocese of Hue, through the papal representative. Therefore, in addition to the 34 Metropolitan Archbishops mentioned above, 35 Metropolitan Archbishops will receive the pallium in this year. Metropolitan Archbishop differs from normal Archbishops in that, they have jurisdiction over other dioceses that are placed under their supervision, in a group called Ecclesiastical Province of the Church. Archbishops of Archdioceses without Metropolitan character has no jurisdiction over any dioceses under them, and they are usually directly subject to the Holy See. This is the full video of the Installation and Inauguration Mass of the new Archbishop of Singapore, Archbishop William Goh Seng Chye, which was held on Saturday, 24 May 2013, in the Cathedral of the Archdiocese of Singapore, Cathedral of the Good Shepherd. Brothers, and sisters in Christ! 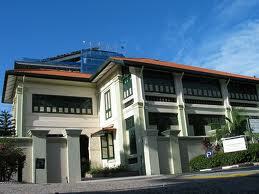 Today, I announce to you a great news of great joy, especially for the Church in Singapore. 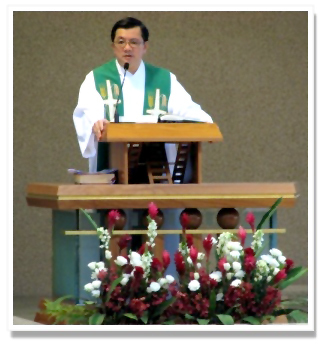 For as of 18 May 2013, the Coadjutor Archbishop of Singapore had succeeded as the new Archbishop of Singapore, Archbishop William Goh Seng Chye. 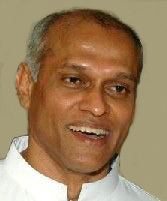 He was installed today at the cathedra of the Cathedral of the Good Shepherd, the mother church of Singapore, and today also marked his inauguration as the ordinary of the Archdiocese, beginning the full extent of his ministry as bishop to the flock entrusted to him by the Lord in Singapore. How is this then relevant to what we heard in the readings today, brothers and sisters in Christ? In fact, today’s readings are perfect for the occasion, because, today’s reading, in the Gospel in particular, deal with the intimacy of relationships between peoples. In the first reading, we heard about friendship and the type of friends we have and we can encounter in our daily lives. In the Gospel then, we heard about another type of relationship, one that is even closer than friendship, that is marriage, which is a union between two persons, male and female, as ordained by God, that men should leave their parents and join with women, that they become one body, and from this union, spring forth new life, through procreation and birth of new children. But there is yet still another, even more noble kind of relationship, one that is not explicitly mentioned in the Gospel today, but in fact has very large degree of similarity to it. That is the relationship that those in the Holy Orders with both God and with the Church which they serve, and which they lead. Those in the Holy Orders include all those who had been ordained by the authority passed down through the Apostles from Christ Himself, from our pope, to our bishops, and to our priests and deacons. All are relationships that are sanctified by God, particularly in the case of marriage and the Holy Orders, in which we should always remember the words of Christ that, whatever God has made into one, no man and no angel should separate. No one may undo the union that God has sanctified and sealed, in the holy sacrament of matrimony and priesthood. First then, let us begin with friendship. We may not have a sacrament of friendship, unlike marriage and priesthood, but true friendship itself is also holy, because true friendship must be based on love and purity of hearts and intention between the friends. Today’s first reading explained to us the different kinds of friends, because friends may indeed look superficially from outside like a good friend to us, but in fact, this ‘friend’ of ours is only using us up, either because we have material wealth or something that keeps this friend to remain at our side. As long as we have this something, money, possession, or some other thing, this ‘friend’ will remain, but once we run out of this something, they will leave us, and sometimes do not be surprised that the ‘friend’ may even become an enemy. This is one of the thing warned by the first reading we heard today. We have to also take note of the parable of the prodigal son, where when the son has all the properties that he inherited from his father, he made many friends in the foreign land, and lived a happy but wasteful life. But those friends are not his true friends, because once his money dries up, they leave him and do not lift even their fingers to help him, until he has to work as a pig handler and even be tempted to eat the pig’s food due to his hunger. He has no friend! What is true friendship then? True friends are friends who stand by us in times of joy, but even more importantly, they also stand by our side at our times of greatest sorrow. Not many people indeed will become our true friends, but once we have true friends in our life, true friendship, as long as we have love in ourselves, will last forever. Because true friendship is based not on material goods and possessions, or even human greed, but it is based on love, care, and compassion. Thus, value the friendships we have and look beyond the veil of possessions and greed, in order to find out who are our true friends in life. True friends are not always those who join us in fun and happy things, in parties and celebrations, but are those who also care for us and protect us in our time of troubles and whenever we are downtrodden. All being said, we ourselves then too should strive to become true friends to those around us, particularly to those whom we love, and of course to our God. Yes, Christ, our Lord and Saviour is also our friend, and He is friend to all mankind, to all the children of God, for remember that He Himself had said to His disciples that there is no greater love than that of a friend who gives up his life for the sake of his friend. And Jesus, our Saviour did just exactly that, because He died for all of us, giving up His life, and even though He was blameless and pure, He accepted damnation to death that through His death, we may gain a new life in Him, through His glorious resurrection. Maintain this friendship and relationship that we have with Christ, with God, dear brothers and sisters in Christ. And how do we do that? Exactly by ensuring that we remained in God’s love and that ourselves and our hearts are always filled with God’s love, and in our actions, we always reflect Christ, our Lord, and become witnesses to His death and resurrection. And we also can help those among us who are least, weakest, ostracised, and abandoned, and in doing so, we are the friends of Jesus, and He is dear to us, just as we are dear to Him. Then, after we have talked about friendship, let us continue on with a greater degree of relationship, that is marriage, which must be sealed in the sanctity of the sacrament of marriage. Marriage is only once in life and is eternal, between a man and a woman, as God ordained since the beginning of time, when He created Adam and Eve, the progenitor of all mankind. Marriage is not merely physical relationship between two persons, that is filled with lust and desire. This kind of union is not marriage, but merely the fulfillment of human desires that may be corrupted by the evil one for his own purposes, and result in what we have seen in our world today, in the form of deviant form of ‘marriages’ that so many people champion, without realising that marriage is not something they should trifle with. This is because marriage is ultimately about love, and again the love that I refer to over here, does not mean physical lust and sexual relationship between two persons, as these may form some part of marriage, but without true love, instead of a holy union of marriage, what we have is a perversion and sin before the eyes of God, essentially fornication and defilement of our own bodies, the Temple of the Holy Spirit. Marriage is about love, that is the spiritual relationship, both between the two persons, male and female, united in love, caring for one another, committed in times of joy and sorrow, united in body and spirit, sealed by God Himself. And marriage is also about the spiritual relationship between the couple with God, because with God as their anchor, love will always remain within the sacred marriage union of the married couple. Marriage itself must also breath out love, and produce love. Because the fruit of marriage is in fact children, and children are the fruits of love between the man and woman united by God in the sacred and inviolable union. Children receive love from both of their respective parents, which then ultimately have its source in God. That is the key to having a functioning and loving family, that this love that is within the couple is shared and poured to others, particularly in the child, whom the couple have responsibility for, and as the fruit of their marriage. Therefore, marriage must never be manipulated and falsified by modern innovations and inventions, which bar the ultimate purpose of marriage, that is to produce the fruits of love, that is the children, just as the Lord commands mankind, to be fruitful and multiply, and to be Lord over all the earth. Men and women He created them for this purpose, that they multiply and prosper, sharing love with one another. Sadly, too many modern innovations, especially through scientific discoveries, had made marriage no longer life-producing, and instead, even cause death in certain cases. The use of contraceptives and birth-control mechanisms had transformed marriage such that marriage is no longer solely based on love, and on producing the fruits of love, but has moved it such that mankind now focus on the more immediate and worldly aspect of marriage, submitting themselves to their desire and lust, and seeking pleasure instead of love in marriage. Abortion and other life-destroying actions, continue to destroy both the sanctity of marriage, and the sanctity of life, for in abortion, we destroy the very life and fruit of love which is the fruit of marriage. Many abortions also resulted from extramarital affairs and relations, which signify the importance of marriage as the necessary step in the union between man and woman, for anything that is conceived outside of marriage, is not sealed by God, and therefore, becoming much more prone to human weakness and evil, which leads to irresponsible acts such as abortion. Divorce is yet another great evil, that destroys both marriage, and the family which are split and destroyed by this other, irresponsible act. Marriage should be based on love, and the children, the fruits of marriage and love, must get love from their parents. Divorce, which destroys this union between the husband and the wife, ruins not just the two persons involved, but also the children, who suffer even more from the separation between their parents. This is also in direct violation against what God has revealed through Christ, His Son, that whatever God had joined into one, through the sacred sacrament of matrimony, should never be divided by men. Therefore, brothers and sisters in Christ, those among us who are couples in holy marriage, strive to empower your married life, that the Lord remains in it, and love remains the heart of your marriage, that the marriage will not become empty, and end in painful and sinful divorce, or extramarital affairs. Rather, as a family, all of you must be functional and do your part as members of the family, to love one another and love the Lord your God, that He will give you guidance through your married life. Pray together often, and have your meals together often too. Bring your children together with you, and raise him or her together, as husband and wife, sharing with them the love that is between both of you, the love that originates from God Himself, that they too will have love within themselves. Prayer especially is important, because prayer will strengthen your faith, and it can strengthen the anchor of love you have in God, and in one another. Time maybe scarce, brothers and sisters, in our busy modern world, with all its noises, and with all the careers and works we have taken upon ourselves. But, brethren, try your best to spend your time together as a family, especially with the children, so that your marriage will remain loving and happy, and will last for eternity. Then, finally, let us go into the most special relationship that those in the Holy Orders have, particularly the bishop, and today, especially as those in Singapore commemorate the inauguration of the ministry of the new Archbishop, Archbishop William Goh, it is most appropriate to look into the intimate nature of the relationship that the bishop has, both with God, and with the Church. Those in the Holy Orders, and those committing themselves to pious, religious life, do not marry, not because they disobey the Lord, but because they commit themselves to God and His people so much that, they are in fact married to God and His Church. They had become the bride of the Church upon their entry into the Holy Orders. Does this relationship then bring about love and life? just as marriage does? Yes! definitely! For a priest, a bishop, and any ordained ministers, and those who commit themselves to God, share fully in the love of God, and through their ministry, they share this love with all the faithful in the Church, to whom they made themselves as conduits of God’s love, and also of God’s life. They bring life through their ministry, through their words and actions, because they bring healing to those who are sick, maybe not physically, but most importantly spiritually. Many of us have become dead spiritually, because our hearts are empty. The priests recharge our dead spiritual selves and allow us to be alive again, through the life that God has granted us. Through evangelisation too, priests bring life, to those who listen to the Word of God and believe, that they receive new life through the waters of baptism. For them, the Lord and the Church are their sole care, the people of God. They choose not for themselves any particular partner, so that they can make themselves available, to share the love of God, to all mankind, rather than to be limited in the family. But this does not mean that the family cannot share its love with others, only that those in the family will certainly need to put the priority of love, first and foremost, to the fruits of their marriage, that is their children, and the love they have for one another as husband and wife. A bishop is even more intimately in a loving relationship with God and with His Church, because a bishop is like a chief shepherd, who loves all the sheep entrusted to him by the Chief of all shepherd, that is God. He must love the priests that have been placed under his care, just as he needs to love the people, the laity that had been entrusted to him. They are married to him, just as he too is married to the Lord, to be his most humble and dedicated servant, in the evangelisation of the Good News to all. Therefore, brothers and sisters in Christ, let us inspire one another, and build good relationships among ourselves. Forgo our hatred and fear, and allow love and joy of companionship build up in all our hearts. Build healthy and strong relationships, be it friendship, or higher degree ones such as marriage or Holy Orders for those who chose either, and anchor them in love, and our faith in God. God will then surely bless all of us, with everlasting love and abundant blessings. Finally, today, we also mark the World Day of Prayer for the Church in China, which falls annually on 24 May. We show our care for the oppressed and persecuted faithful in China, by building concrete bridges of love, to reach out to them, and care for them, and pray for them especially, that they may be strong, to resist the temptations of the world, and that those who suffer will receive their due reward for their unfailing faith. We are one Church, one Body in Christ, my brothers and sisters in Christ, from all over the world we had come, and into one we have become, that is one in the Church of God, the Universal Church He established on Peter, His apostle. No human power, no government, no form of oppression or persecution, will be able to separate what God has made into one, not even in the case of China. Therefore, pray hard, brothers and sisters in Christ, that liberation will soon come, not only for those oppressed in China for their faith, but also in North Korea, and other places, where injustice, and prejudices against the faith in God is still rampant, even till today. Our Lady of Sheshan, protector of the faithful ones in China, pray for them, and pray for all of us. God be with us all, through joy and sorrow, and through this darkened world, and may He bring us into the light of salvation. Amen. 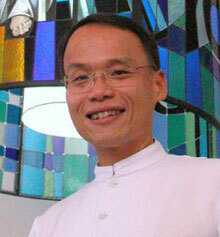 The new Archbishop of Singapore, Archbishop William Goh Seng Chye, having taken over officially on Saturday, 18 May 2013 after the Holy See accepted the resignation of the now Archbishop Emeritus Nicholas Chia Yeck Joo, will be installed at the cathedra of the Cathedral of the Good Shepherd, the mother church of the Church in Singapore. 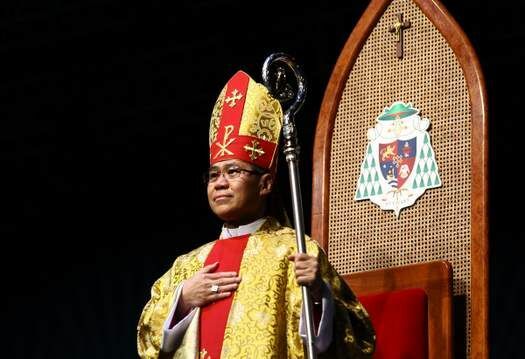 Archbishop William Goh was the Coadjutor Archbishop of Singapore and being a coadjutor, in conjunction with the Code of the Canon Law, has the right to immediately succeed the Archbishop upon his resignation being accepted by the Holy See. This Installation Mass will also be an Inauguration Mass for the ministry of the new Archbishop and also a thanksgiving for both the new Archbishop and for the service of the now Archbishop Emeritus Nicholas Chia. As Archbishop William Goh has officially taken over the duty as the Ordinary of the Archdiocese, he immediately resides in the official residence of the Archbishop in the Archbishop’s House, located within the Cathedral grounds. 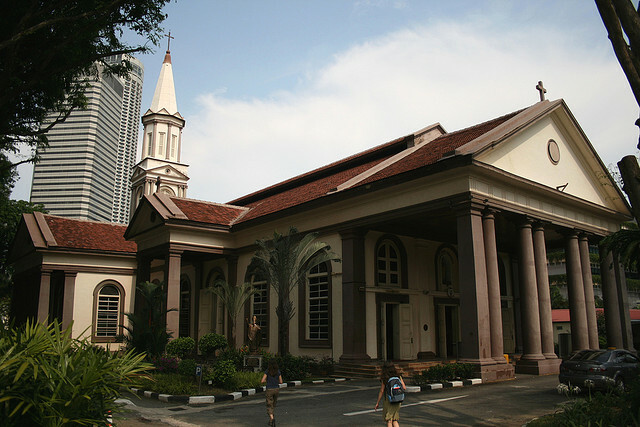 Meanwhile, Archbishop Emeritus Nicholas Chia will transfer his residence to the Catholic Spirituality Centre in Hougang, Singapore, where Archbishop William Goh had resided during his term as the Coadjutor Archbishop. 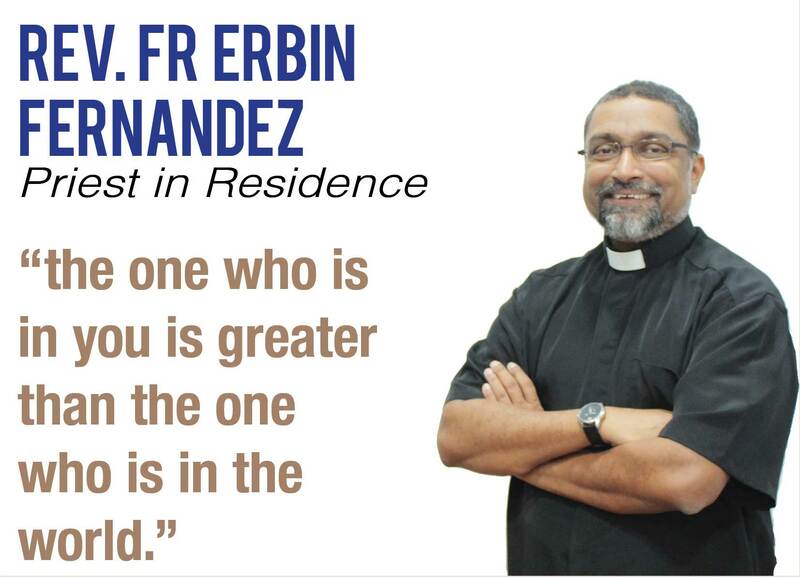 God bless our new Archbishop and we also pray for our Archbishop Emeritus, that in his retirement he will continue to do great works for the sake of the Lord. 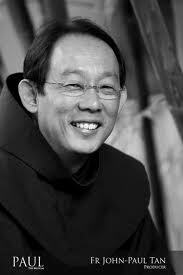 Ad multos annos, His Excellency Archbishop William Goh!